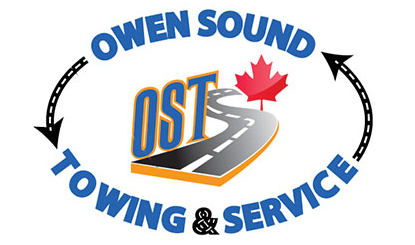 Owen Sound Towing & Service, providing 24hr. emergency roadside service to Owen Sound and all surrounding areas in Grey and Bruce Counties. We offer roadside assistance and vehicle maintenance to keep your business moving at prices that make sense. Ask about our fleet discounts and service packages.. Need a frame stretched? Help finding a cab and Chassis. Need a custom dump box, flat bed or towing equipment? We can build what you need. We work on all types of cars and trucks. Need a safety or annul sticker, or just think you may have a problem? Stop in and speak to one of our licensed techs.